The discovery process is the first stage of the buyer’s journey. At this stage, the potential client becomes aware of a particular issue and is searching for a viable solution. In other words, if a business needs IT support, they will begin searching for IT providers that can fulfill their need in the workplace. You can take advantage of this situation by bringing awareness to an issue and providing a solution through the use of blogs, case studies, or e-books. Focusing on keyword research can also help you rank much higher in search engines while also allowing you to create compelling blogs. The main focus of the discovery stage is to maximize your visibility and establish credibility in the IT world. The consideration process is the next stage in the buyer’s journey. Here, the potential client is deciding between the best available options. Engaging potential clients with meaningful content is essential during this stage and can be the difference in helping them to choose to use your IT services. Providing educational content and real-world solutions is critical during the consideration stage and can play a pivotal role in landing a new client. If your IT marketing efforts focus on addressing the needs of potential clients, you can gain their attention and transition them into the final stage of the buyer’s journey. The final stage is the decision stage; the process where the potential client is looking for ways to justify his/her decision in choosing to use your IT services. One of the most effective ways to finalize a potential client’s decision is through the use of external resources. These resources can consist of a wide variety of items, whether it is testimonials, user-generated content, or reviews. The use of these resources has a significant effect on a buyer’s decision, as reviews and testimonials from other clients influence people. You can also encourage existing clients to write a review about your IT company, as these reviews can be the difference in landing a new client. Understanding each stage of the buyer’s journey is essential for your IT marketing campaign. 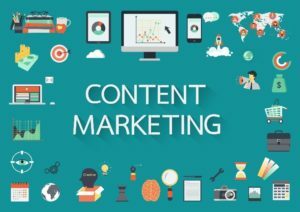 Continually looking for ways to use content marketing throughout the sales process is critical in gaining new clients, whether you are in the discovery, consideration, or decision stage. Consistently practicing these effective marketing tips will allow you to expand your IT business and reach new levels of success in the IT world.